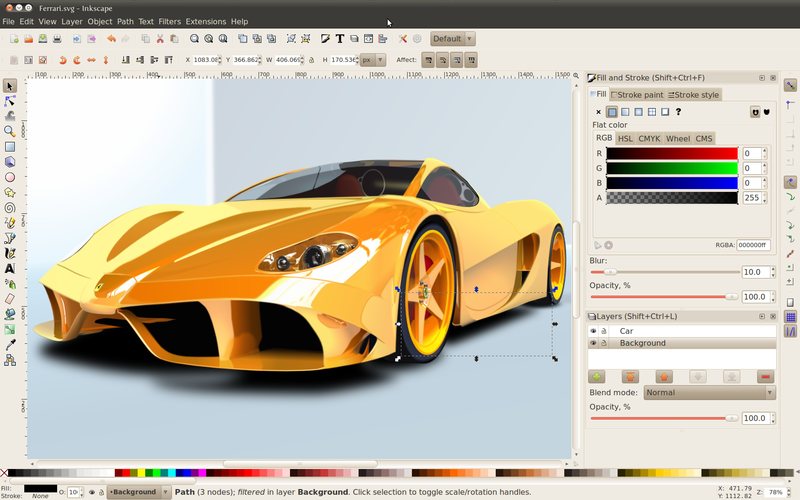 The Inkscape is a flexible designing and drawing tool that has dedicated support for unusual large files. 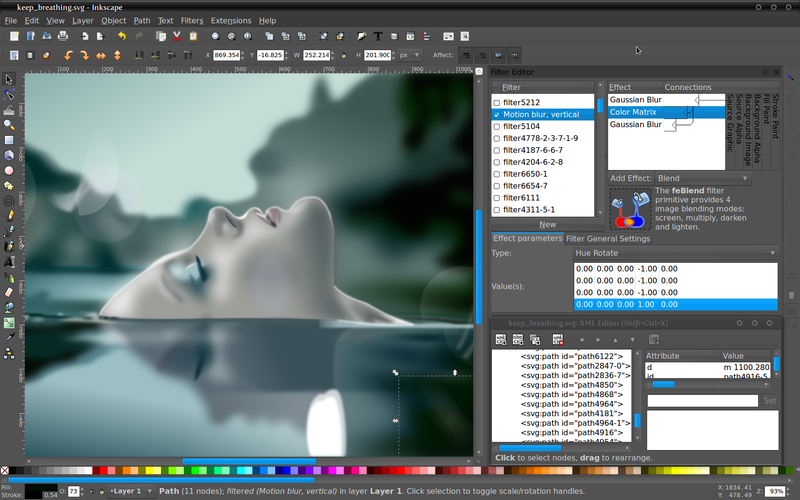 It features object creation, manipulation, fill and stroke, pathways and other salient characteristics which are comparatively different from the most image creation and editing software programs. Download the free Inkscape from here if you are engaged in graphical activities involving designing, drawing and painting. For object creation the Inkscape combine drawing tools like pencil and pen with the shaping tools like ellipses, spirals, rectangles and complement them all with text writing and insertion tool. Users can also embed bitmaps inside the objects they create with the software and get cloned versions as well. For manipulation purposes the software offers transformations, z order operations of lowering and raising an object, grouping, applying layer and aligning the same. It works with keyboard shortcuts as well as the command lines besides the user interface buttons. 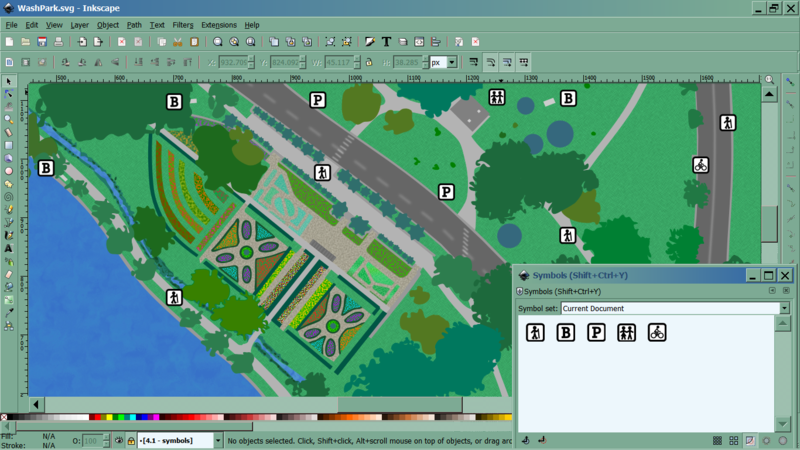 Under fill and stroke the Inkscape users will get color selector, picker tool, copy pasting, pattern fillers, gradient editor and different types of strokes and path markers. These functional attributes contribute in multi stop gradients, predefining dash pattern and in using different pathway marks. 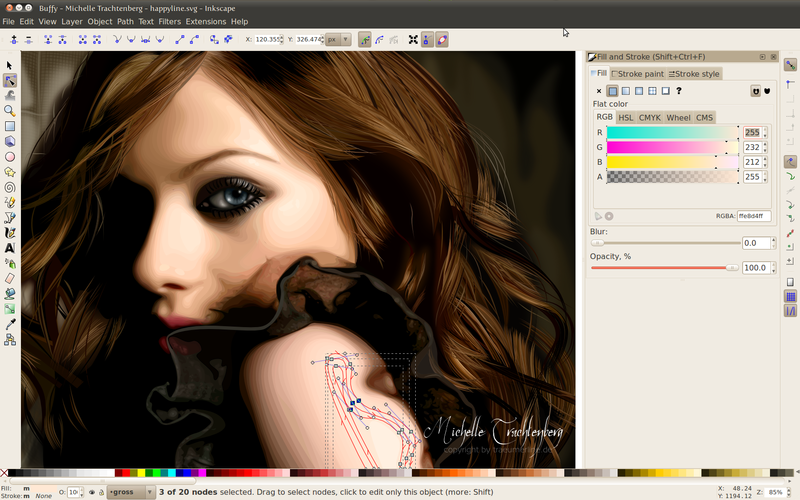 Besides the fill and stroke in path operation Inkscape has node editing, path conversion, Boolean operations, path simplification, insetting, outsetting and bitmap tracking in monochrome and colored paths. For text support Inkscape offers multiple line text in built in or imported fonts, kerning, letterspacing, line spacing, path text and text in shape. The software offers antialiased display with alpha transparency, PNG export and display support. One can drag a file and drop it on the interface to do the editing works.